This tranquil resort has so much to offer, from intimate dining in an unparalleled choice of al-fresco activities to a transformative spa with wellness experiences. The Rainforest is a complete hydrothermal sanctuary combining the best of European hydrothermal culture with Middle Eastern bathing rituals to create a calming haven dedicated to holistic rejuvenation. Following a relaxing massage or facial from the spa, guests can enjoy the Rainforest which includes a trail of 16 state-of-the-art hydrothermal therapies, each designed to soothe and revitalize the body and soul. For optimal benefits, the Rainforest should be followed by the map. 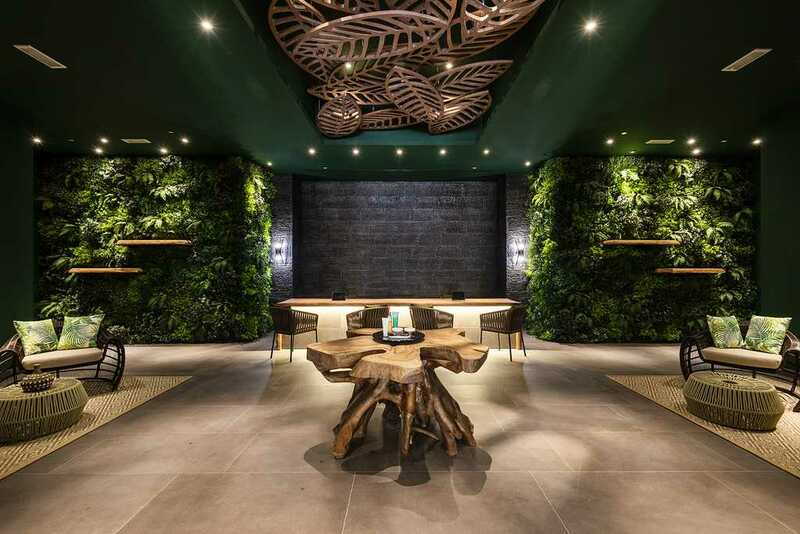 The Rainforest includes wellness facilities such as affussion showers, aroma steam, a brine cavern, bucket drench shower, grotto steam, hammam, herbal sauna, ice igloo, rain walk, sauna, sole therapy, tropical rain shower and a vitality pool. The Ritz-Carlton Ras Al Khaimah, Al Wadi Desert also offers a wellness retreat when guests stay for a minimum of five nights. This detailed wellness retreat is designed to enliven your stay with an array of well-being experiences and will be shared with guests prior to arrival. The wellness retreat includes a stay in a luxurious private pool villa with your own temperature-controlled pool, walks among the morning dew, sunrise yoga, detox spa treatments, detoxifying face and décolleté treatments, seawater therapy, kneipp therapy, detoxifying ritual at The Rainforest and daily healthy meals. As part of this retreat, guests can also enjoy daily 60-minute interactive owl and falcon shows, gain access to the fitness centre, Oasis Pool & Bar and Ritz-Kids Club activities. Bicycles and a map to ride within the nature reserve are also provided along with unlimited high-speed Wi-Fi access and a complimentary shuttle and beach access at The Ritz-Carlton Ras Al Khaimah, Al Hamra Beach. Set among 500 hectares of desert conservation area, The Ritz-Carlton Ras Al Khaimah, Al Wadi Desert is a secluded oasis that invites guests to reconnect with nature and culture amid the beauty of a 1,235-acre protected preserve. Since launching as a Ritz-Carlton resort in 2017, the hotel has continued to encourage guests to learn about and connect with the land and the traditions that have long upheld it.